Telephone Voice Recording System is a device which is used to record voice from telephones, radio microphone and other sources. It is also called a voice logger system. Aria Telecom Solutions Pvt. Ltd. provides PC based and non PC based telephone recording systems at affordable price. We provide stable voice logger witd advanced feautures, easy to installable. To offer customer-centric solutions, we are manufacturing, exporting and importing Telephone Recording System to the clients. The devices used are highly advanced can be configured using computer. The system can be accessed remotely and even through network or telephone access. Provide system is manufactured using quality approved components and parts. Our skilled professionals adhere to the industry standards and use modern technology during the fabrication process. Aria Telecom offers multiple channels PC and non PC based telephone voice recording system to keep track of all telephone communication. 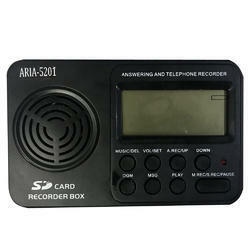 Aria 5018 is 8 port voice logger system with USB connectivity. It has user friendly interface to record and monitor telephone calls. 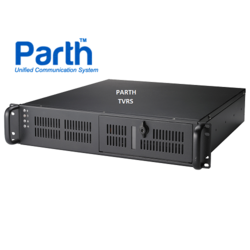 Parth specifically designed for police headquarters and crime branch. It is an embedded telephone voice recording system. It is helpful to track suspect and to find his location etc. · Live listening of call when suspect is on call on computer or on external number. FTP Server Window Server 2008 R2 64 bit,Intel Single Xeon CPU,3GHz processor speed,8GB RAM,1TB HDD. Aria Telecom provides essential telephone recording solution for share markets, stock brokerages, and other financial sectors. It is a multi-user application that allows an individual user to monitor over the system and track information. You just need to install one application on all user locations that will be connected with a centralized server. Aria Telecom offer branch office call recording and monitoring for the head offices through remote services. It is a multi-users application that allows an individual user to monitor over the system and track information. We will install one application on all user locations that will be connected with centralized server & will be helpful to transmit the live data on centralized screen. Aria Telecom Solutions offers Parth Interception Voice Logger System which can serve investigation agency to record the conversation of target automatically. It is not only used for voice recording of various incoming & outgoing conversations of targeted telephone numbers but it also incorporates GIS integration to analyze crime hot spot.